A female monarch spotted on July 5th! 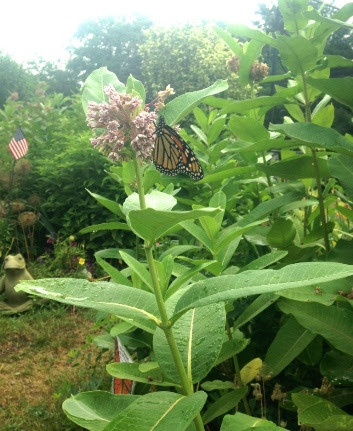 spotted a female monarch butterfly on- wait for it…- common milkweed of course! Yes, as we say, “If you plant it they will come!”. They are basically on time, a few days later than last year. We are hoping to have another exciting season of raising these precious, endangered butterflies in our shop for the next few months. 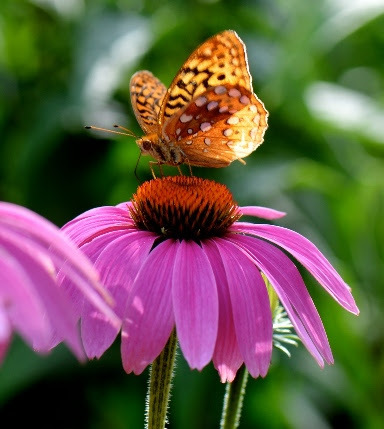 Fritillary butterfly on Echinacea this weekend. butterflies. I noticed the same thing at home, they were hanging out on my large stand of ‘Tiki Torch’ orange coneflowers. Fritillaries must have common violet foliage for their larval food plant. No problem here, we LOVE our violets and don’t consider them weeds in the lawn. We know how important they are. We now have a great selection of common milkweed in two sizes. It takes a year to grow them big enough to flower, then after that, watch out, it will spread like crazy. We have an entire bench filled with Asclepias plants including Asclepias tuberosa in orange and yellow, and Asclepias incarnata in white and pink. All are used by the monarchs as larval food plants; these other two species are much less aggresive. There is an Asclepias for every garden. If you would like to try raising your own monarch butterflies from eggs or caterpillars you find in your gardens, we have everything you need. 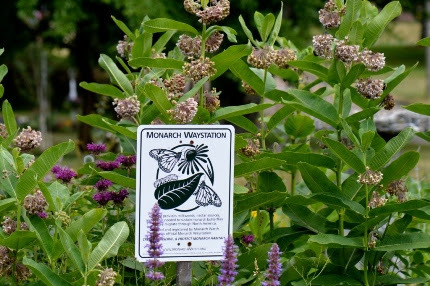 The bookHow to Raise Monarch Butteflies is always in stock on our shelves. New this year, we have the insect hatching boxes and mesh cages that were so valuable in our efforts last year. Because we raise the all-important generation that migrates back to Mexico, we all need to get involved in saving this beautiful butterfly. 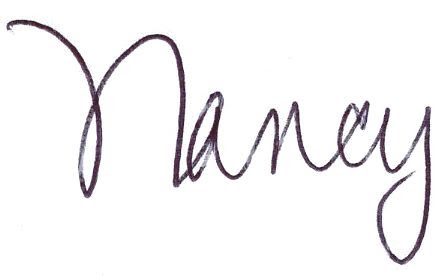 We will, of course, be offering workshops on this subject during the summer months. All butterflies need nectar sources as well. This is just SO easy to provide and so pretty too. At this time of year, our gardens are abundant with color. 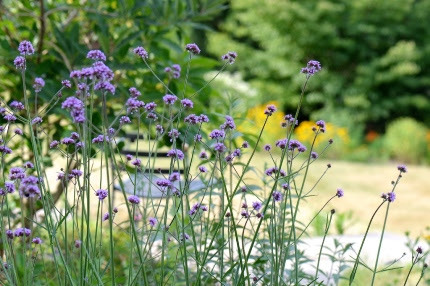 One of their favorite flowers is Verbena bonariensis, which we call “Verbena-on-a-Stick”. It has long stems that rise above the garden and wave in the breeze, making it one of our favorite cut flowers. In my home gardens, I have two large stands that self-sowed from last year. I add zinnias in between for a real summery look. Verbena bonariensis is so pretty, a great cut flower, and beloved by all butterflies. We are in what I like to call the Daisy Days of Summer. My Shasta daisies are perfect this week, and my Echinaceas area really beginning to steal the show. Early perennial mums like pink ‘Clara Curtis’ have actually been blooming for a while. Stokes asters (Stokesia), black-eyed Susans of all sorts, blue Kalimeris, and summer asters such as blue Aster frikartii are all landing pads for nectar loving butterflies and pollinators. Daisies also provide nectar for our beneficial insects that prey on the bad bugs. The Daisy Days of Summer are Here! 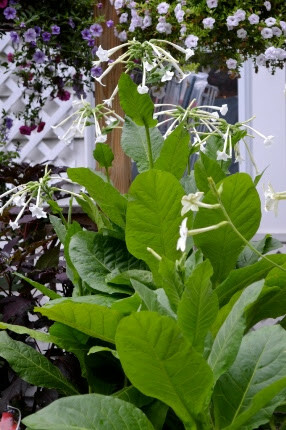 Evening scented Nicotiana will fill your deck with sweet perfume. the way, is sitting outside in the evening and enjoying the cool air. That is why I make sure I always plant vespertine flowers- flowers that open in the evening and emit a sweet perfume to attract night flying moth pollinators. This weekend I put the finishing touches on my deck planters and included a massive Nicotiana sylvestris, white flowering tobacco. We still have lots of really lush, blooming annuals, perfect for filling in holes where your pansies have pooped out or your spring blooming perennials have been cut back. 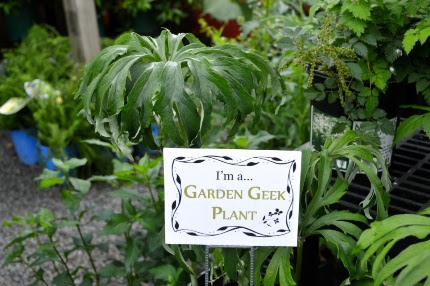 We have a large stand of shredded umbrella plant (Syneleisis aconitifolia) in our shade garden and finally have some nice sized plants for sale on our benches. Come see! same. 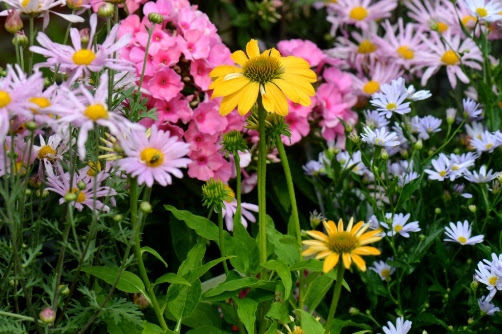 We cut annuals, perennials, grasses, leaves, flowering shrubs, and ferns. I have another Playing with Flowers coming up in late July. This fun workshop is limited to 8 participants. Sign up today to reserve your spot. Speaking of workshops, I am heading off to England on Thursday and will be away for 10 days visiting gardens. It’s really happening! In my absence, my staff will be taking over the reigns, giving the workshops, writing next week’s email, and doing all the plant ordering. This Thursday, Jillian is offering a Grow Organic Kids workshop on making a collage of seeds, followed by blowing giant bubbles. I remember this last year, it was so much fun. What a great way to keep your kids occupied in a garden setting for a mere $5. This Saturday morning, Kassie is giving a hands-on workshop: Garden Impression Stepping Stones. She will show you how to make hypertufa stepping stones with leaves from our gardens. This is a great skill to learn. Hypertufa is also used in making troughs- I am sure I am going to see lots of them in England. 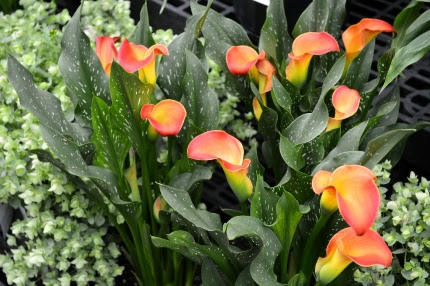 We have gorgeous orange calla lily plants this week! While I am away, my blueberries and raspberries will be ripening. I am so glad that I have continued to add more and more of these delicious, easy to grow fruits to my yard. I am picking them by the bowl full, and freezing them as fast as I can before I leave. My husband and the lucky Natureworkers who will be tending my garden in my absence are really going to enjoy them! Over the weekend, I was a planting fool, continuing to add more edibles and perennials as well as staking, pruning, and weeding. The rain on Monday night was a welcome sound as I drifted off to sleep, tired but satisfied with my labors. Natureworks is a Flower Festival for the senses this week. High summer is surely upon us. Make time to come in for a visit and soak up the beauty that we so enjoy every day. And keep on planting!